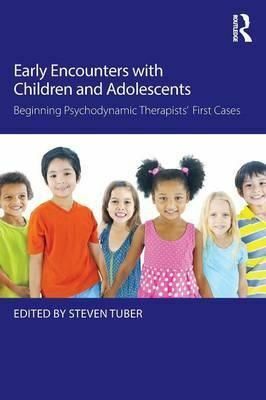 Early Encounters with Children and Adolescents is the first training guide to use the works of beginning therapists as its focus. Far too often, therapists in training are given the "classics" to read-case histories by the masters in the field, which can sometimes leave beginning therapists intimidated or even in despair as to whether they can ever reach that level of proficiency. This book is the first to remediate that situation by providing beginners with role models they can more easily internalize through realistic case histories that reveal the ins and outs of starting in a craft that is never fully mastered. Not only are the cases themselves fascinating, but the therapists also refer to the processes they struggled with while treating these patients. Readers will thus have a striking new counterweight to the classics they will still want to read as they progress in the field. Eight beginning clinicians discuss aspects of their clinical process, including: issues of transference and countertransference; the role of supervision; doing parent consultations, especially when one is not yet a parent; cultural/racial/socioeconomic differences between patient and therapist; and the vulnerability of not understanding for long moments in treatment. Psychodynamic beginners in every discipline will find these case histories compelling, heartfelt and inspiring.